The Woolly Brew: Simple Laceweight Shawl - new shop sample! 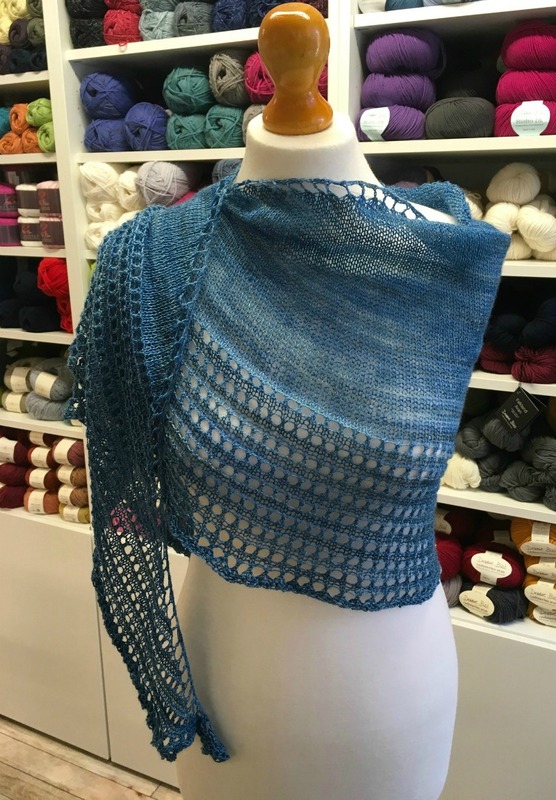 Simple Laceweight Shawl - new shop sample! 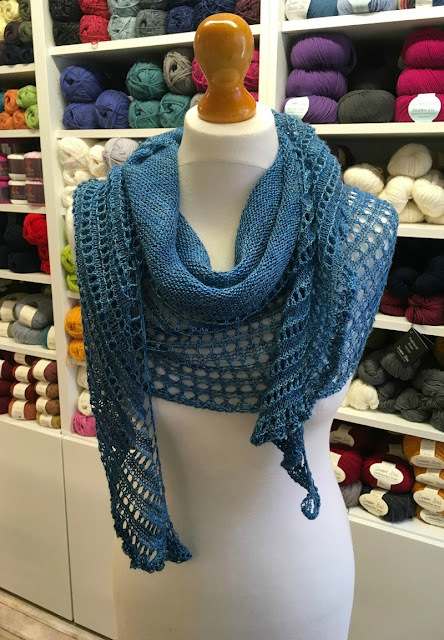 A new shop sample in the fabulous Gleem Lace! 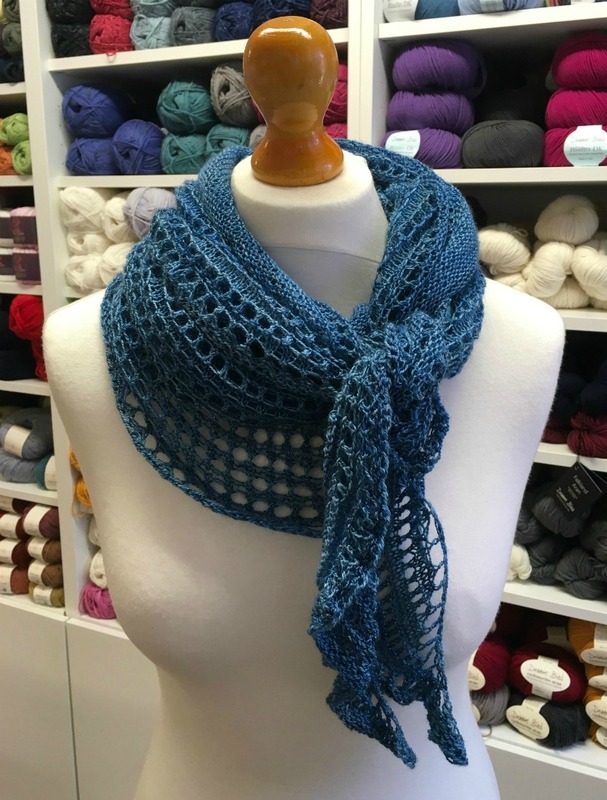 Gleem is a 55% BFL and 45% Silk blend laceweight and it comes in gorgeous semi-solid shades. The shawl is a large elongated semi circle with an easy eyelet border. This is a good next steps project for those looking to tackle a larger laceweight project and it features a slightly trickier border than our Fine Super Eyelet.